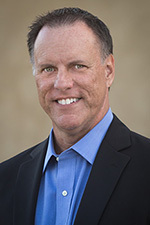 Unified Remote Access | Richard M. Hicks Consulting, Inc.
Great news! The Windows Server 2012 Unified Remote Access Planning and Deployment book by Ben Ben-Ari and Bala Natarajan is now available! 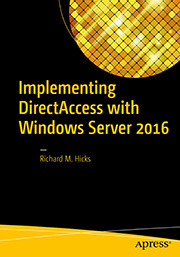 The book covers in detail how to plan and deploy remote access solutions using Windows Server 2012 VPN and DirectAccess. 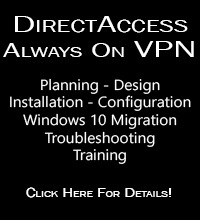 This book will be an essential reference for anyone preparing to deploy DirectAccess, remote access VPN, or site-to-site VPN using Windows Server 2012. Order your copy now!